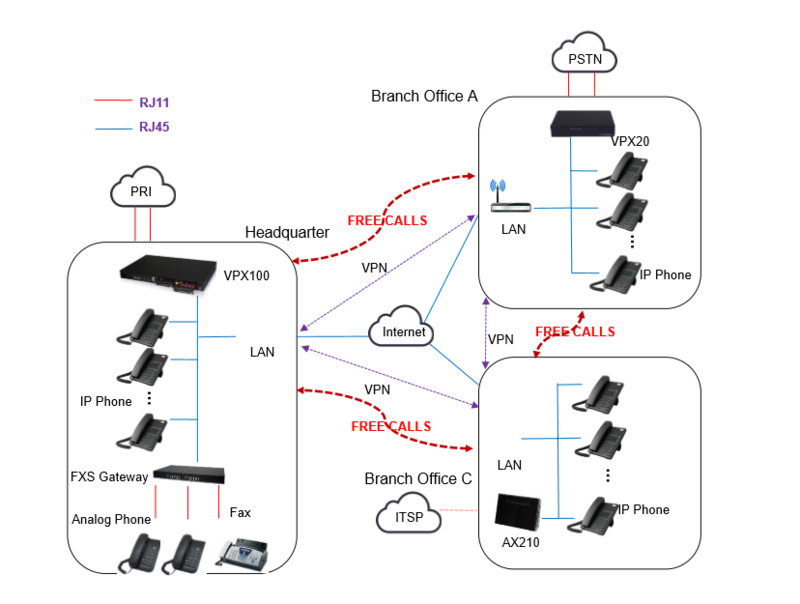 If you have multiple office locations, VOPTech IPBX gives you the convenience connecting these offices economically and effectively. You are allowed to enjoy a cost-effective and easy-to-deploy remote office solution with the use of the IP PBX. Remote office solution helps people work together to solve problems, make decisions, and present ideas faster regardless of long distance. Remote office solution also boosts flexibility and productivity by delivering secure and comprehensive data and services to all the workers in multiple branches.
. Improve productivity by the features like IVR, voice mail to email, fax to email, conference, smart DID, follow me, call recording etc.